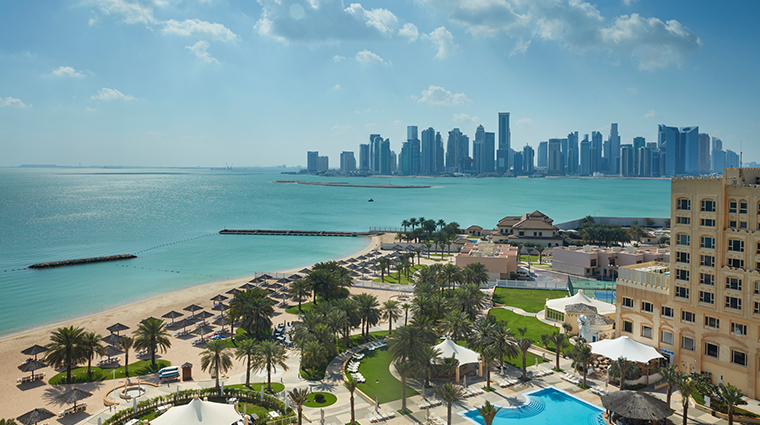 With a sprawling beachside location, friendly and approachable service and numerous popular bars and restaurants, it’s easy to see why InterContinental Doha is one of the city’s most popular hotels with locals and visitors alike. The discreet lobby doesn’t really give an indication of what lies within. Boasting the longest private beach and a free-form swimming pool, the property also houses 375 spacious rooms and suites. Combine this with no less than 10 food and beverage outlets — including the world’s largest outpost of the famous Belgian Café — and beautifully manicured gardens, and you’ve got a luxurious complex that feels more like a bustling beach resort than a well-perched city hotel. 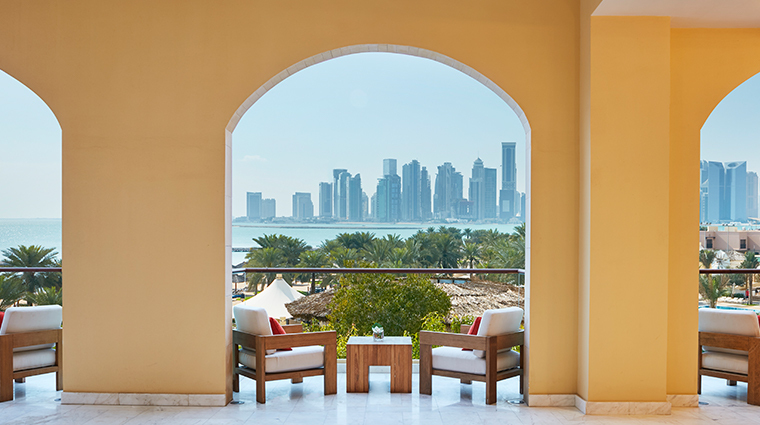 InterContinental Doha’s location is a boon for both business and leisure travelers, nestled between the soaring skyline of West Bay and tourist attractions like Katara Cultural Village and The Pearl-Qatar. 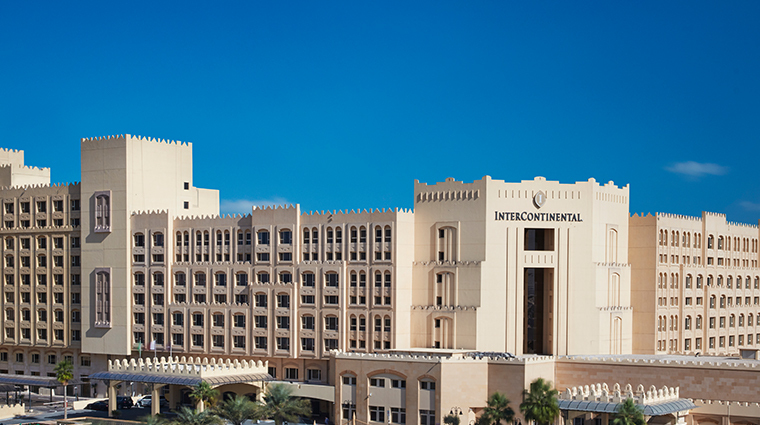 While one of the older hotels in Doha, the InterContinental’s recent refresh means that the rooms are updated and modern with Arabic touches like wood latticework on the walls. 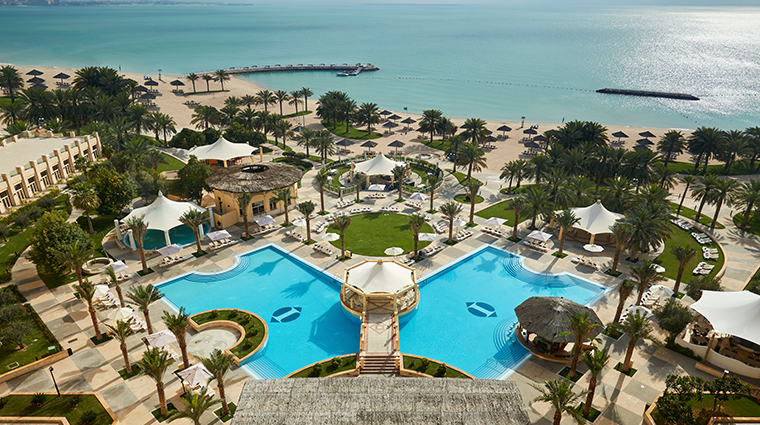 The expansive beach (5,381 feet of white sand) and pool area set this hotel apart, with views across the Arabian Gulf giving more of a tropical resort vibe than that of a pulsating city hotel. 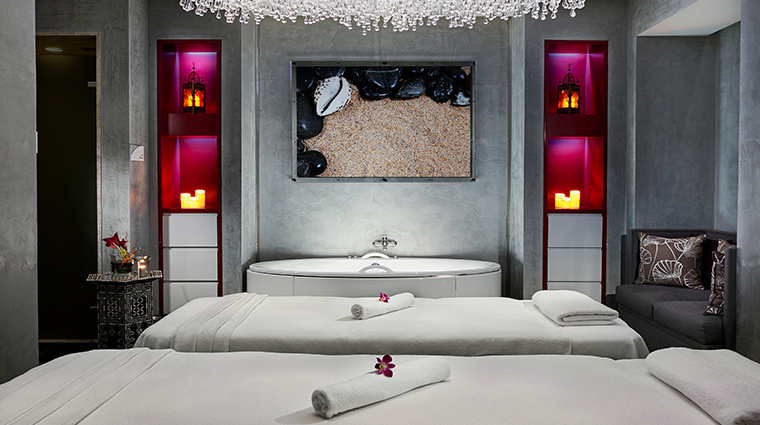 The recently opened and sumptuously appointed Spa InterContinental has kicked the hotel’s luxury credentials up a notch with 16 treatment rooms, a ladies-only private indoor pool and amenities like a state-of-the-art spa wave bed for Quantum Harmonic Sound therapy and a massage table made from healing quartz. 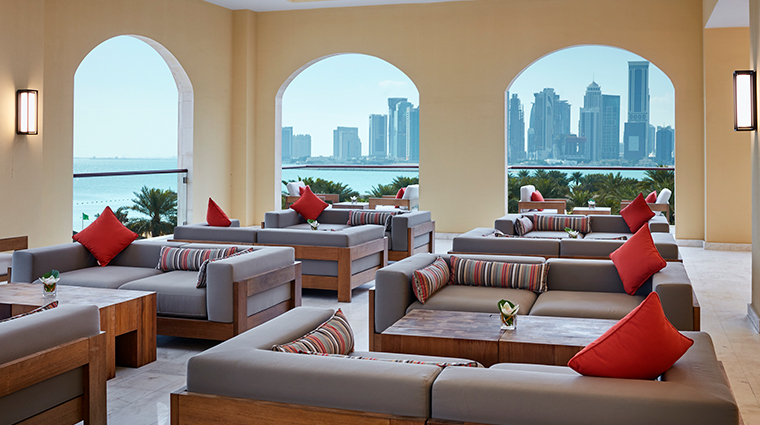 The brand-new club lounge features an undercover terrace area overlooking the gardens and bay. 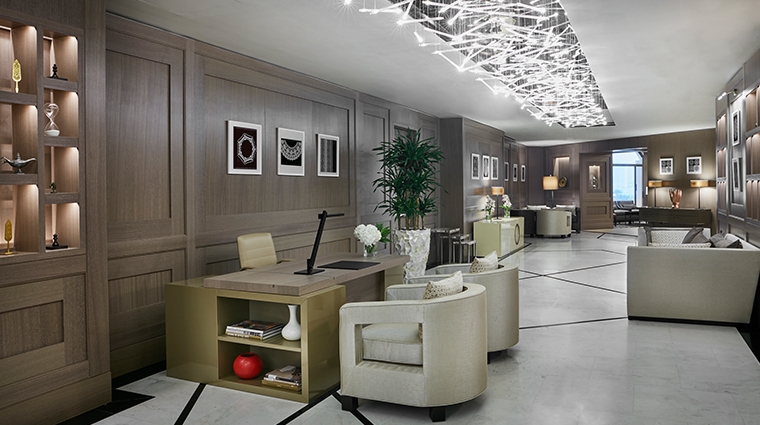 Access to the lounge — which includes breakfast, afternoon tea and evening cocktails — is exclusively available to those in the 120 Club rooms and suites. This alone is worth upgrading your stay. 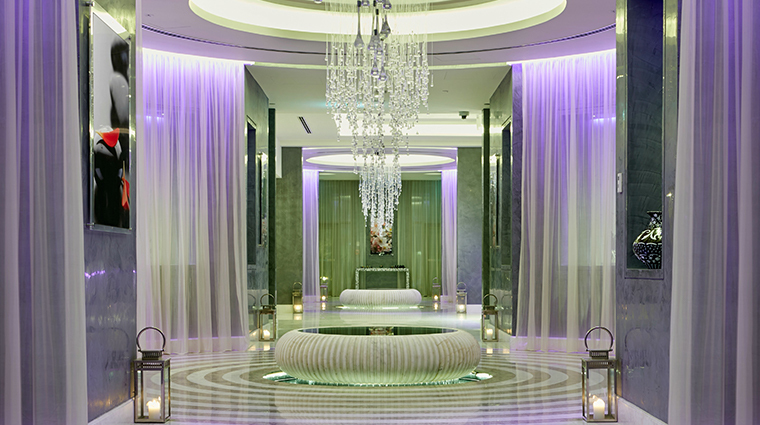 The gym and sports facilities in the Doha hotel are extensive and up-to-date. The Bay Club is home to the sprawling gym, where you can also book water sports equipment, small boats and time on the property’s tennis and squash courts. 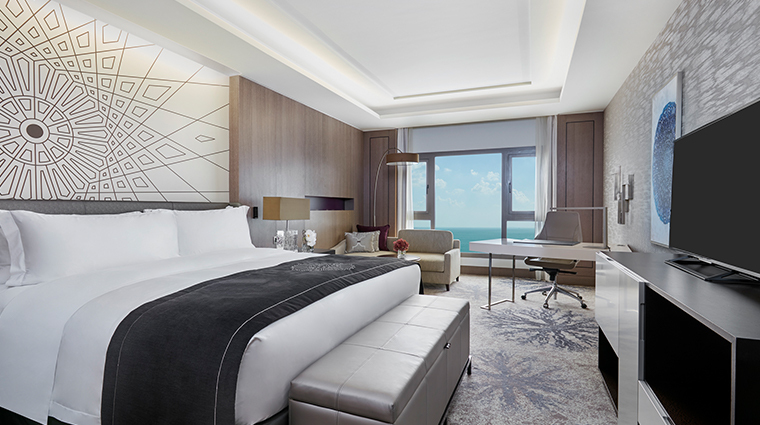 The complex also features the exclusive InterContinental Doha Residences, a property that's leased to long-stay tenants. This luxury hotel is one of the most loved in the city, which means during weekends and holiday periods (like Eid), its venues, beach and pool area can be crowded. Book ahead for restaurants and head to the facilities early. 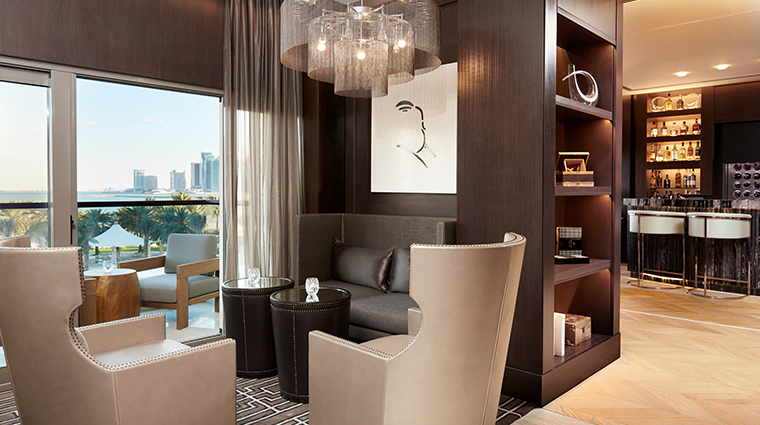 This Doha property is a popular destination for families. Those with little ones will appreciate the dedicated shaded kids pool and indoor playroom. As Qatar gears up for the 2022 World Cup, Doha can feel like a construction zone as a new metro and road networks are built. This means road access can change almost daily and traffic can be hectic. 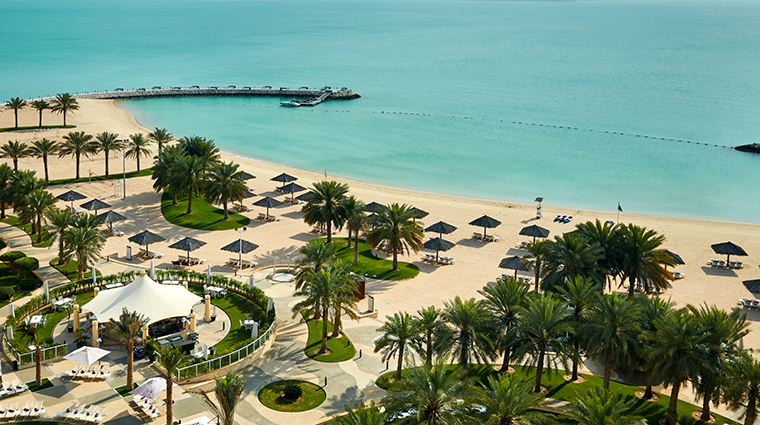 There are two InterContinental properties in Doha — this one and InterContinental Doha - The City in West Bay. Make sure your taxi driver knows which one you’re visiting. Several of the resort’s restaurants are closed during the month of Ramadan, so be sure to check in advance to avoid disappointment. Thanks to the hotel’s location, 171 of the 375 rooms have sea views. Of course, those with a vista of both the bay and the glittering city skyline are the best — and the higher up, the better. 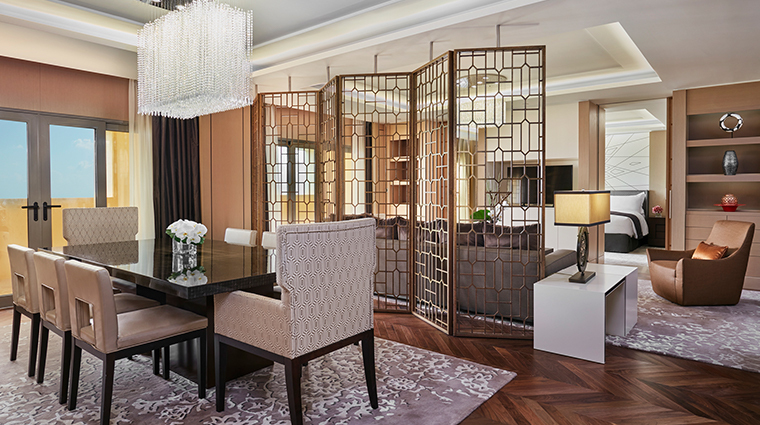 Rooms and suites are decorated in muted tones with each room category having its own color accent. They provide a rather comfortable and understated stay. 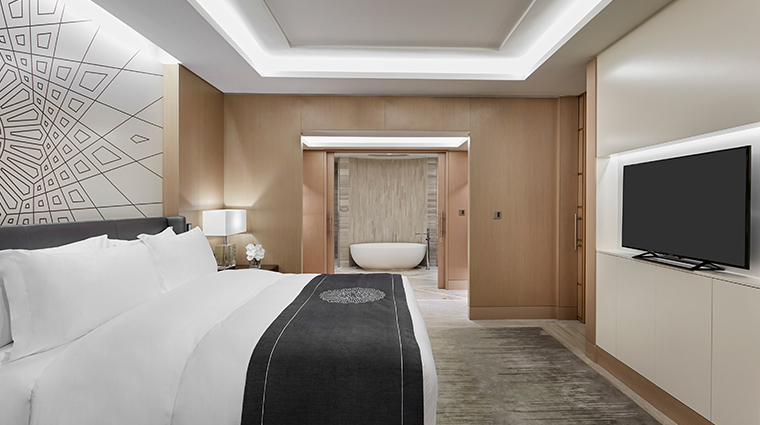 The accommodations start at a generous 430 square feet for entry-level Superior Rooms, while suites have extra space, starting at 861 square feet. 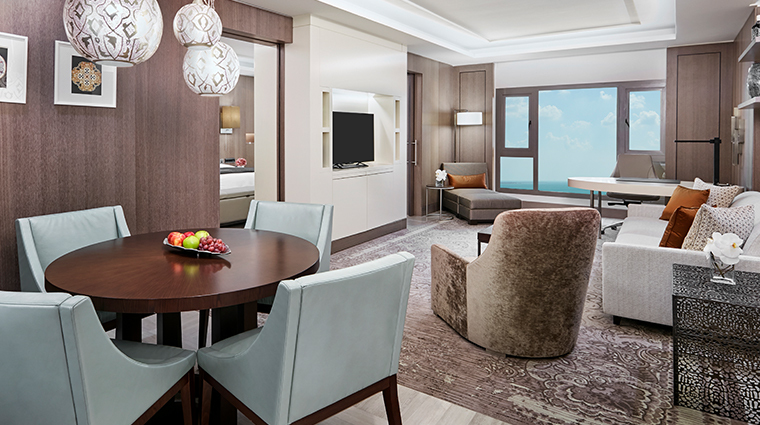 For something more luxe, the new Executive Suites come with separate sitting and dining areas, electronic control panels and huge bathrooms complete with deep-soaking tubs. When it comes to dining at InterContinental Doha, you’ll be spoiled for choice with a whopping 10 food and beverage choices covering everything from Arabic cuisine to a European-style beer café. 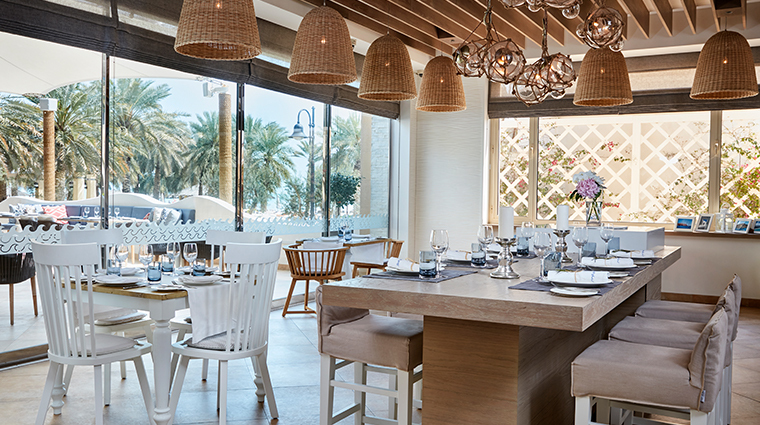 Mykonos, with its island-inspired blue and white décor and charming patio, has one of the best restaurant locations in Doha and is popular among the city’s Greek community. Order the moussaka, the eggplant rolls with anari cheese and the fig-jam-covered cheesecake for an authentic taste of Greece. 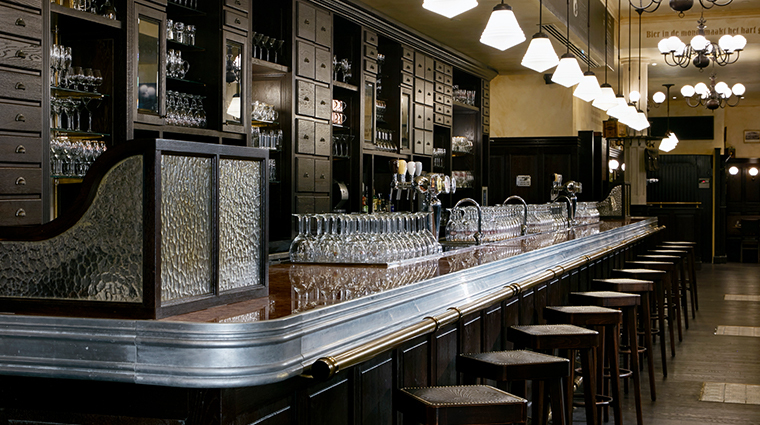 Belgian Café is one of the largest restaurants in the city with a perpetually busy bar and a spacious terrace that hosts live music several nights each week. The food menu is also a winner — order the steaming bowls of mussels and crispy fries. 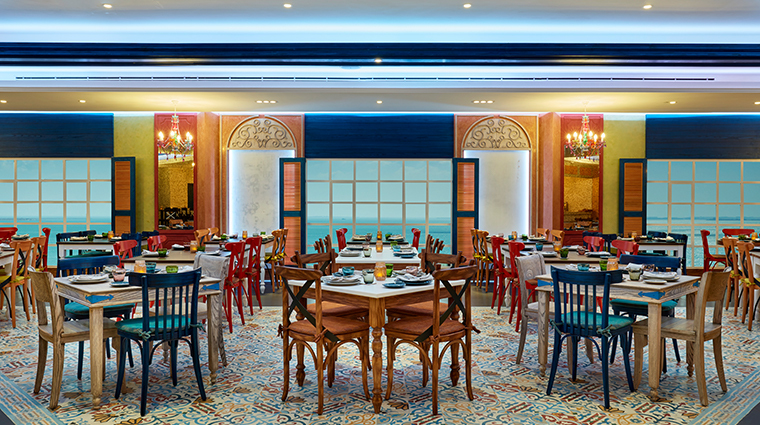 La Mar Doha by Gaston Acurio is the newest restaurant in the complex, offering an authentic taste of Peru in plates of cebiche, tiradito and flame-grilled fare. Boasting a sun-drenched dining room, this casually elegant spot has gained a large fan base in a short period of time. Paloma serves up Tex-Mex favorites (the shrimp tacos and margaritas are legendary) in a lively bar setting. Go early for the fantastic happy hour and sundowners and stay late for the band playing a blend of retro and more recent favorites. 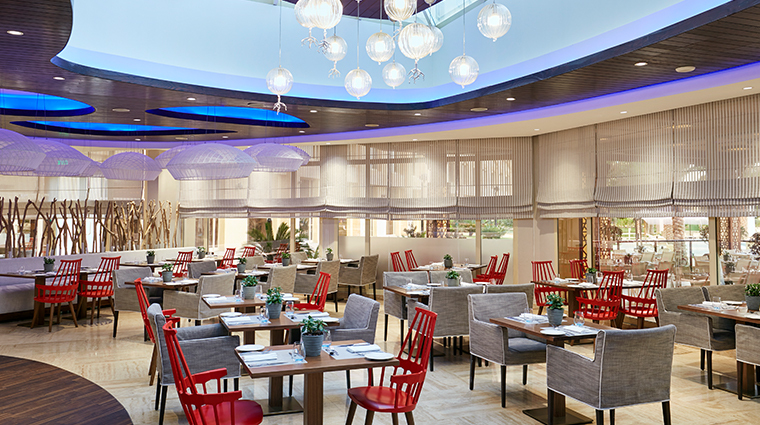 With its blend of Arabian and international flavors, Coral All Day Dining is a tasty option whenever you're craving a bite.